Being a business owner comes with one very big downside: not being able to take much time off. Your business still needs to run regardless of what’s going on at home, so any time that you do take off for vacations needs to be planned in advance so that your business can still run like clockwork while you’re away. However, have you thought about what you would do if you needed to take a sudden leave of absence? Would your business cope if one day, you simply couldn’t come into work? 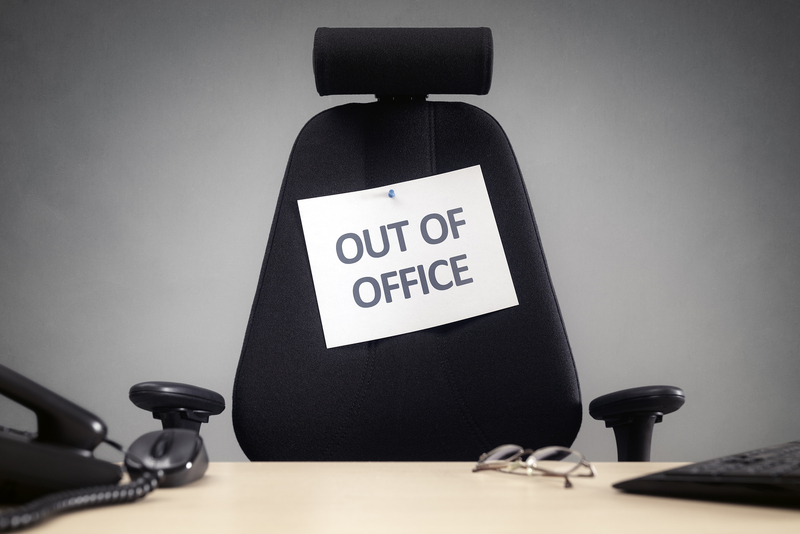 We’ve got some tips on how to manage your business when you need to take a leave of absence. Unfortunately, life is full of ups and downs that you simply cannot predict and sometimes, you will have no choice but to completely abandon everything else in your life. This could be the loss of a loved one, or even an accident that’s left you unable to work. That’s why it’s important to have someone ready in case this ever happens. Appoint and train someone that you trust to run your business while you’re away. This could be a family member, or even a current member of staff that already knows the ropes well. Either way, at least you can rest assured that your business will continue in your absence. Sometimes appointing someone to be in charge might not be an option, and you may have to consider putting a halt on your services until you’re able to return to work. Perhaps you run a business single-handedly and you don’t have anyone to carry on with business until you’re back? There are many reasons as to why you might choose to halt your business, but of course this can lead to loss of profits. If you’ve been in an accident, this website has more about what you should be doing if you’ve been in an accident, and can help direct you with the steps you need to take and get you back as soon as possible. Whether you’re away for a day or a month, it’s important to leave valuable information for your staff members so that they can continue until your return (second in command appointed or not). Your staff handbook should contain information on how to complete every task for each business day, alongside rules and regulations to keep people safe at work. This is also useful to have around in your workplace for staff members to refer back to. Finally, the reason for your absence may even be a business trip that caused you to urgently leave and on these types of occasions, considering virtual management might just be the way forward. There are so many ways in which you can contact your staff members while you’re travelling, so consider becoming a mobile boss for the duration of your absence!